Anyone in business knows that giving out receipts for payments received, and keeping records of those receipts, is important for balancing your books and preparing your year end taxes forms. Here is a receipt book format that can be used in Microsoft Excel® 2007 and higher which will dramatically keep the process of issuing and recording receipts much easier. the symbol for the currency your company accepts. Once you save these settings, each receipt issued will contain all of the mentioned data, along with a unique and sequential receipt number. Save the data, print it out, or convert the spreadsheet to a PDF format for emailing, and you’re done. 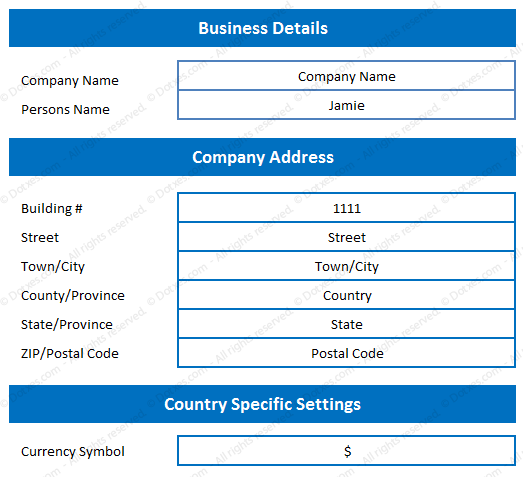 The beauty of this template is that you can have as many versions of it as you have sales people, or accounts receivable staff, or company locations, or divisions within a company, etc. All of these variables can be accommodated without any additional cost to you. If you move or change company names, just update the settings information on the first sheet. 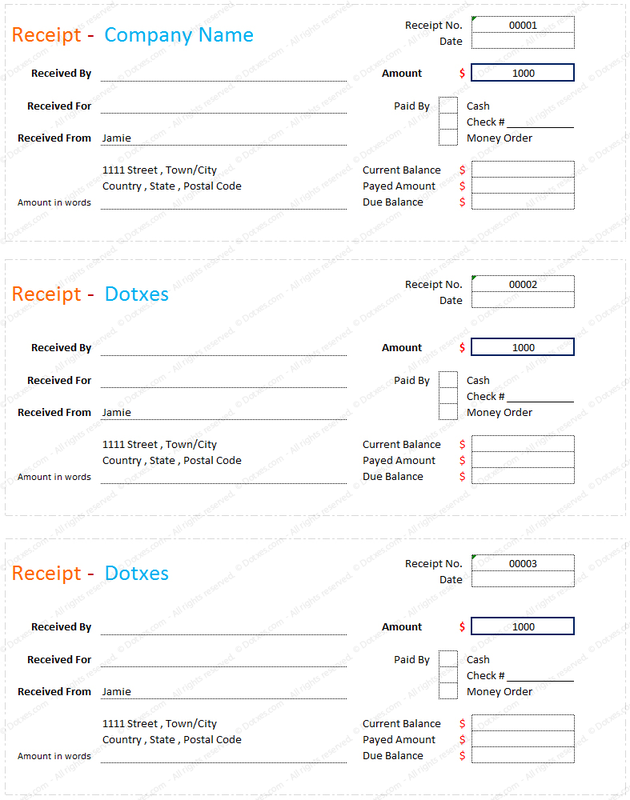 Finally I can make my own business receipt using this template.